<b>COLLECTION ONLY</b><br> <br> Excellent performance for any vehicle that demands <br> more from a battery. 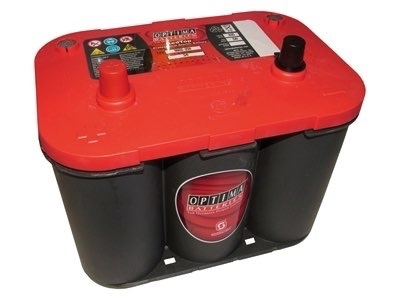 Optima batteries withstand high <br> under-hood temperatures and can handle incredible <br> amounts of vibration which makes this battery perfect for <br> any performance vehicle.<br> <br> <b>Optima Red Top Benefits</b><br> <br> Lasts up to 2 times longer than other batteries. -More power in the initial 1, 3, 5, and 10 seconds of the starting process than comparably rated<br> conventional lead acid batteries. -Constant performance quality keeping your battery running at the same level even as it's being discharged.<br> Ideal for seasonal use, fully charged, it can sit unused for up to 12 months at room temperature (or below) and still start a car. <br> 15 times more resistant to vibration than other batteries. - Nonspillable and can mount in almost any position. 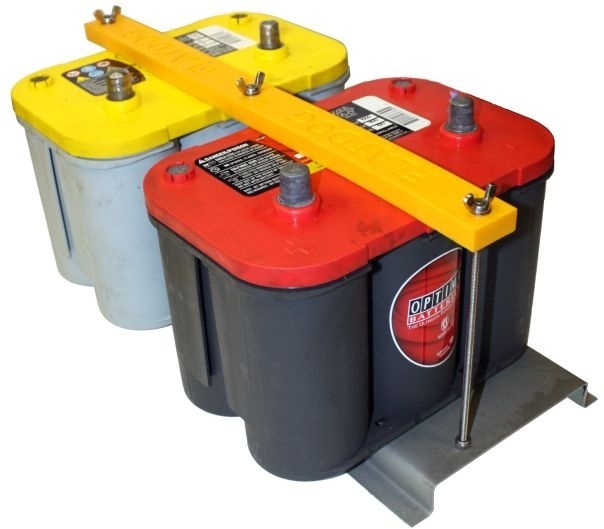 conventional lead acid batteries. -Constant performance quality keeping your battery running at the same level even as it's being discharged. 15 times more resistant to vibration than other batteries. - Nonspillable and can mount in almost any position.